Marble is one of the most popular trends going in interior design. This beautiful stone adds such an earthy yet elegant look to a space that it’s no wonder we keep seeing it over and over again. Not only is this beautiful stone popular in kitchens and bathrooms but it’s also being seen everywhere from accent tables to decor and even lighting. This is great news for anyone who likes to try a trend before committing to it. Do you want to try this stylish look in your home? Don’t wait for your next major remodel! Think beyond kitchens and bathrooms and try this look in any space in your home. 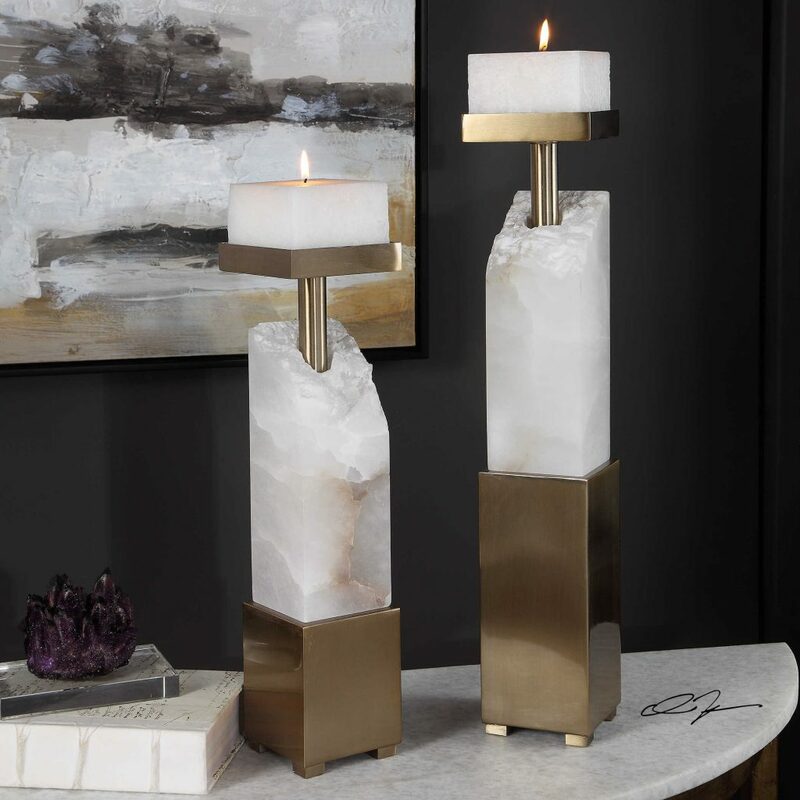 Candle holders are a welcome addition to any space. But let’s face it. They’re not all created equal. Most candle holders are pretty but these are make-your-jaw-drop pretty. These chunky marble candle holders will be appreciated even if you never light a single candle. 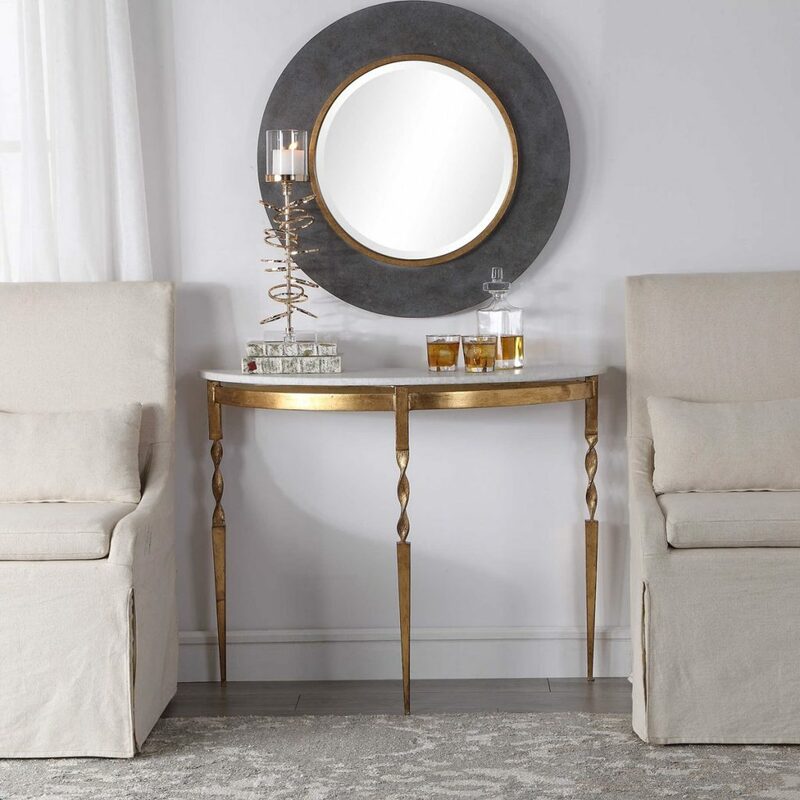 Many accent tables are now available with other elements such as stone and marble is no exception. This combination of marble and metal creates a more interesting piece of furniture and makes it a functional piece for entertaining guests. Every home needs a pretty pair of bookends. Even if you don’t have a bookcase you probably have some books scattered around your home. Why not style them on top of a dresser or cabinet? 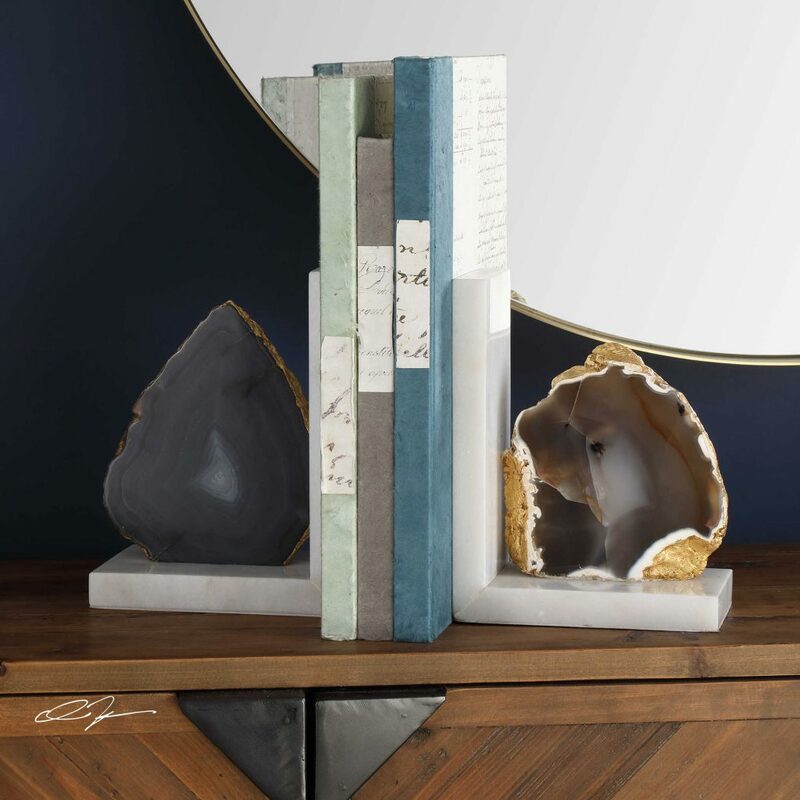 Cue these agate bookends with a marble base. Tidy up and style your home at the same time. We can’t talk about marble without talking about lightning. 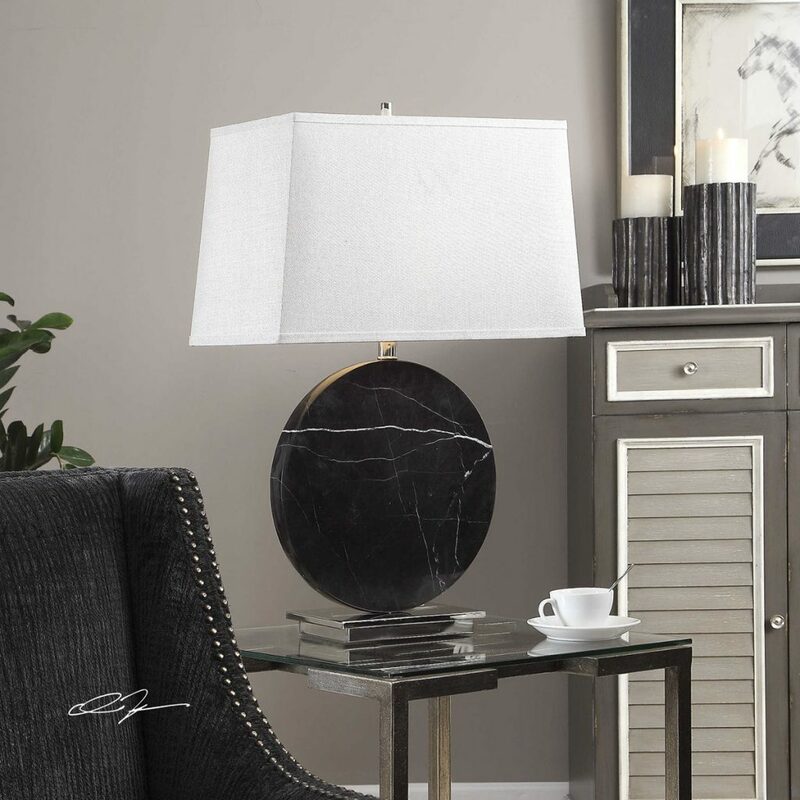 This lamp is just one of many that incorporate this gorgeous stone. We love the edgy look of the black marble against the modern white shade. It’s so chic and it instantly updates a space that needs a modern touch. Do you want to add some marble pieces to your home? Visit our showroom! We can help you add this fun trend to all the right places.